The idea of allowing all-professional LMP2 line-ups in the World Endurance Championship has been shelved for next season. Series promoter Automobile Club de l'Ouest revealed in April that it was undertaking a review of the category as a result of reduced entries in 2014 and that all-pro line-ups were on the agenda. This was known to be favoured by some within the ACO, but after consultation with the teams, it has now opted to maintain the rule that demands at least one driver rated as silver or lower in each line-up for next season. ACO sporting manager Vincent Beaumesnil said: "We proposed this to the sporting working group, but it was considered that because we are in a period of economic instability, it would have been a risk to change even if the idea is good. "We will keep the same rules for at least one more year, but we do not know what we will do in the future." 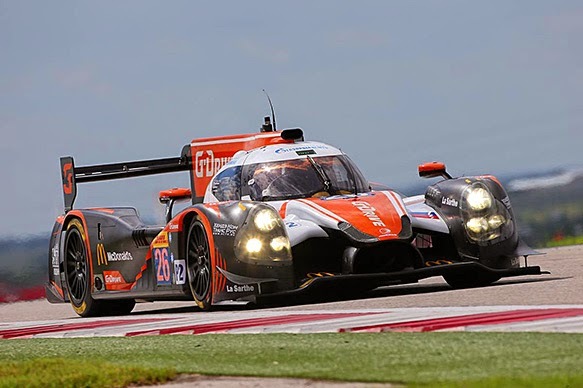 A move to fully-professional line-ups in the WEC would not have been mirrored in the European Le Mans Series. That would have meant a separate pro-am class for P2 cars at the Le Mans 24 Hours. "At the very least we would have had a specific trophy for the best pro-am car," explained Beaumesnil. The ACO is continuing to work on ways to make LMP2 more attractive after a downturn in entries for this season that was followed by the withdrawal of the Delta/ADR-run Millennium squad and the Strakka team, which is now due to give its new Strakka Dome S103 a debut in the WEC finale at Interlagos in November. I am 100% at your back for this road safety forum you are having. It's a great way of instilling to the people the value of safety when on the road and thus, preventing any accidents from happening. In our country, the rate of minor essay writing serivce road accidents seems to rise so this forum would be helpful especially if attended by people mainly using the road for transportation. Great article! I appreciate your idea.